Geil has been a long time player in the ram market and with the birth of the X79 platform came with it the need for quad channel ram. 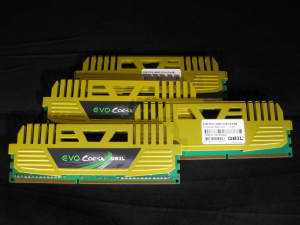 They, like most other RAM manufacturers, jumped in to this burgeoning market and sent us 2x4GB DDR3 1866Mhz 1.5v from their Evo Corsa (from the Gaming Series) series as well as the Evo Cycle Memory Cooler to play with. 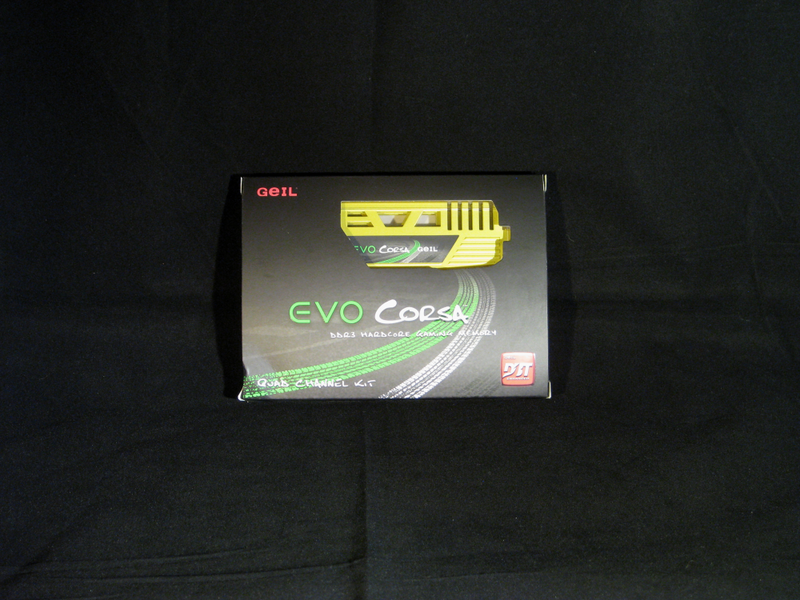 The Evo line, and Gaming series we have are one of the high end RAM offerings from Geil. Lets see if they can hold their own and how far we can push them in this review. Geil was established in 1993 with its headquarters in Taipei, Taiwan. 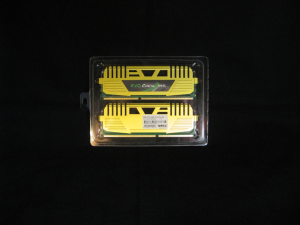 Starting in 1998 they began its module design and manufacturing with a focus on the advancement IC sorting technology in order to produce “high quality and performance memory modules surpassing industry standard”. From its early beginnings of semi-automated IC testing to its current “DYNA3 SLT” testing unit which tests each IC for frequency, CAS Latency, as well as voltage and leakage which show the quality and potential of the IC’s for proper bins. 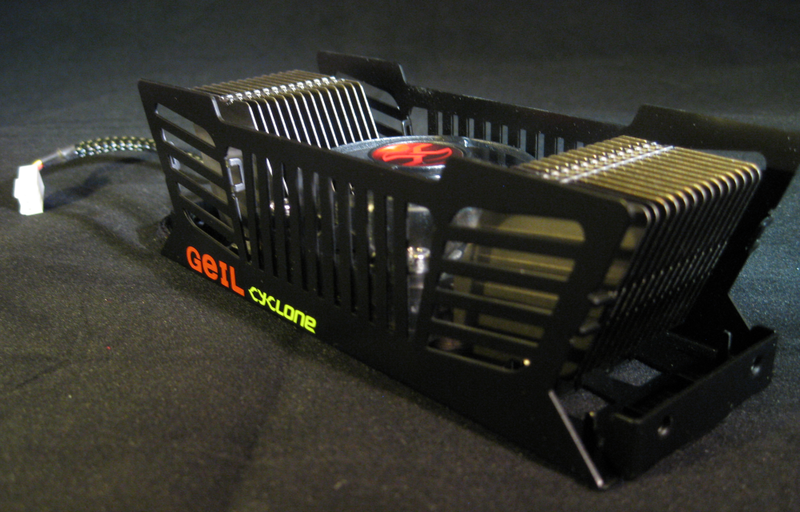 In 2008 Geil also started using what they call, “Die-hard Burn-in Technology”. This process, plus the use of their burn-in chamber (testing up to 70 °C+ up to 24 hours or more), stresses the memory modules at elevated temperatures and voltages to help detect early failure of components from stress testing within said environment. I’m sure other manufacturers have some sort of process like this for their ram, but its the first time this information was given out to me as a reviewer so I’m a bit enamored by the process they go through to ensure against DOA and prematurely dead sticks. 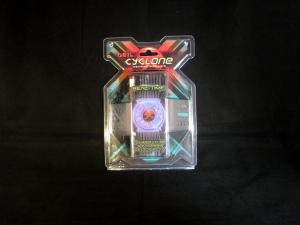 We’ll start off by taking a look at the packaging. As you can see the ram came in its mostly black/grey retail box with green and white tire tracks on it. Also on the packaging outside of brand name was the advertisement of Geil “DBT” (Die-Hard Burn-in Technology) and inside of that was the ram all nice and snug in typical clam shell style packing. The modules were secure inside. Taking a look at the fan’s retail packaging, you can again see the clam-shell style casing, this time with rivets keeping it sealed. I have to admit rivets were overkill and a pain to tear apart. I couldn’t do it with my hands even, but who knows, maybe I’m weak! 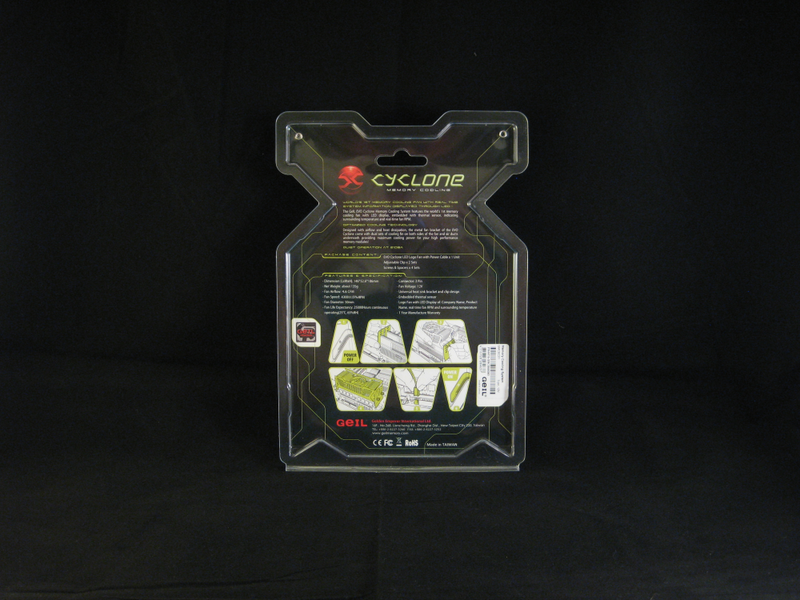 The Cyclone memory cooler and its mounting accessories were secure inside the form fitting case. On the rear it shows some features and directions on how to install the unit on your ram. 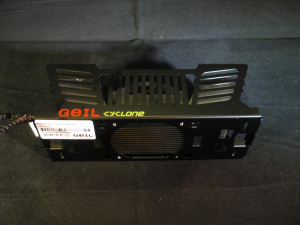 The Cyclone cooler has a small 40mm LED fan moving a bit over 4CFM of air over the center of the modules, which is not a lot of air movement. 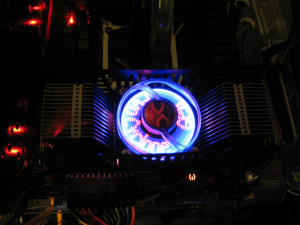 Flanking both sides of the fan are heatsink fins. If this seems like overkill to you, I’m going to have to agree on that. I’m also not sure how effective it is considering what little surface area touches the heat spreaders on this specific ram. Mounting the fan on the ram was extremely easy. There is a padded base area that should rest on the ram clips on the motherboard, then you simply line up the holes so the fan unit is seated on the ram and thread the thumbscrews in. I found it just a bit easier to find the right mounting holes and thread the screws in while its not sitting on the ram. then placing the unit on top of the ram. There is enough flexibility in the mounting system to allow this to happen and still fit well on the ram. 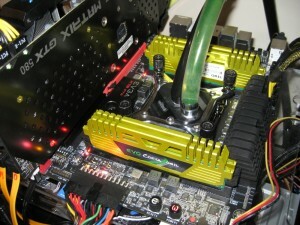 One note, on the X79 platform you would require two of these coolers to cover all the ram. I would also use it with four sticks next to each other as it does fit more securely gripping on all four sticks in an X79 setup. Obviously on other platforms with the four DIMM slots next to each other (or X79 with eight DIMM slots) this will not be a concern. Regardless it did hold well, but not as well as with four DIMMs to hold on to. Pricing on this unit is currently $27.72 from Amazon.com. Last you will see a couple of pictured with the Evo Cyclone cooler all lit up. While bling is not my thing, I bet those that love accessorizing their case would love to have a cooler like this. The LED’s are located on the fan so while it spins up, the text rotates through a GEIL EVOCORSA, and the temperature as read from a sensor below the fan. Memory do not have temperature sensors built in, so the best anyone can do are environmental readings like this one. 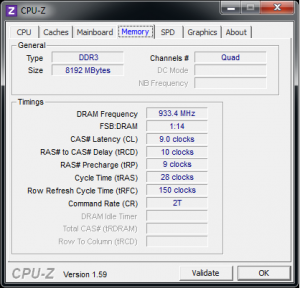 Most know ram does not need cooled, even when overclocking (unless you are REALLY pushing voltage/speeds of course) so a system like this is not necessary for 24/7 operation. However, if aesthetics are your thing, this is a pretty neat fan to put on top of the ram. And regardless the ram needs it or not, cooler is always better. As you can see from the memory tab, the XMP profile on the sticks and EVGA board managed to set things up properly with the proper timings and speed (voltage too, but not pictured). The third picture is the sticks in the test bench. Next we will look at a set of synthetic benchmarks. 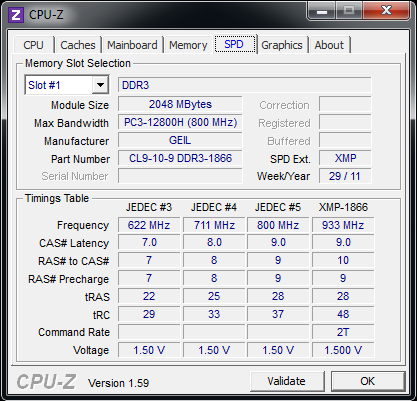 The comparison sticks are DDR3 1600, and DDR3 2133Mhz. 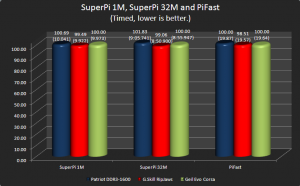 SuperPi1M really shows little difference between 1600Mhz, 1866Mhz, and 2133Mhz kits, and the results show that. 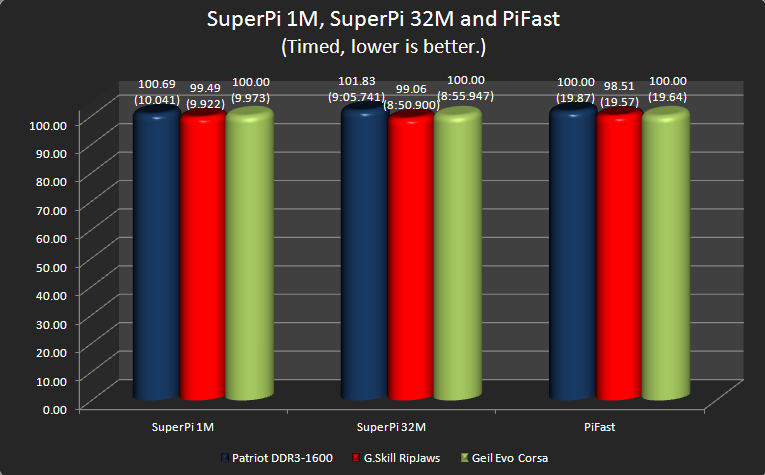 Moving on to SuperPi32M you can see some differences between the kits and timings. 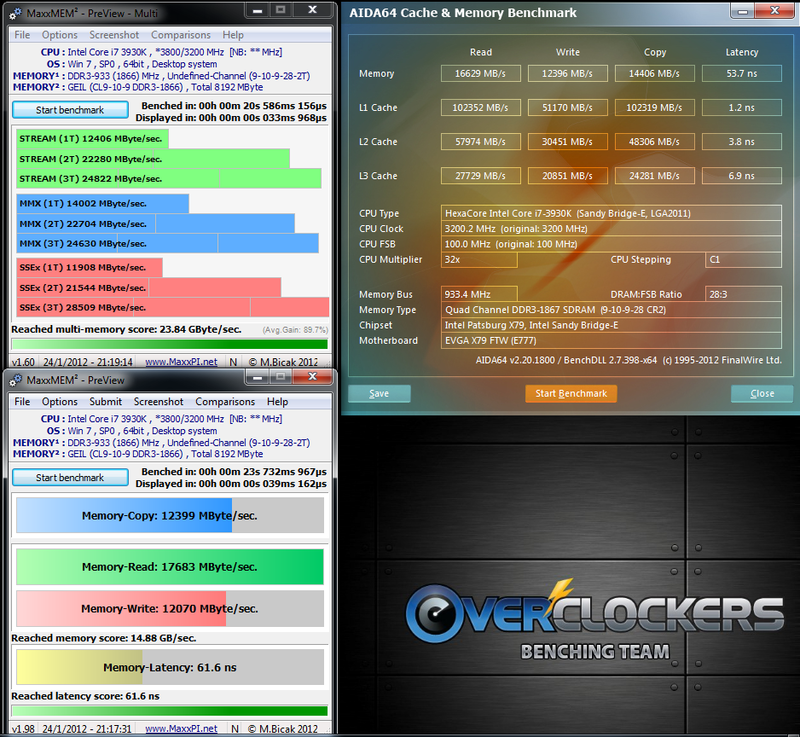 To put it quite simply, this benchmark responds well to memory speed and timing changes. 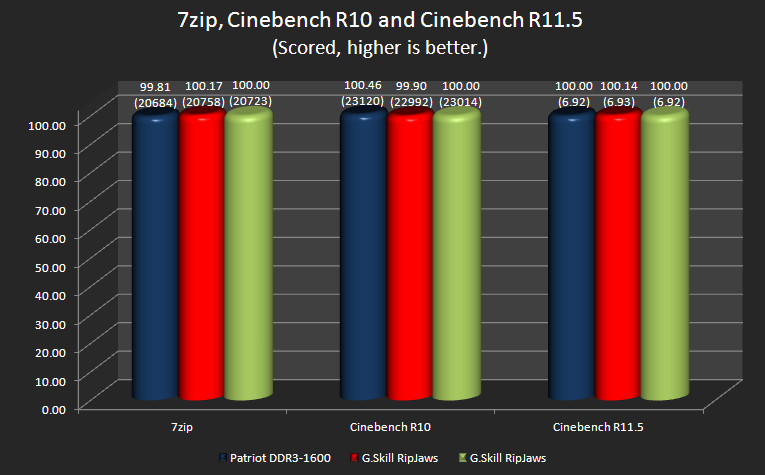 The Geil kit falls where it should in these results, just a bit behind the 2133Mhz kit and better than the 1600Mhz sticks. Last metric in the first picture is Pifast. Again the Geil Evo Corsa kit falls right in line with expected results. 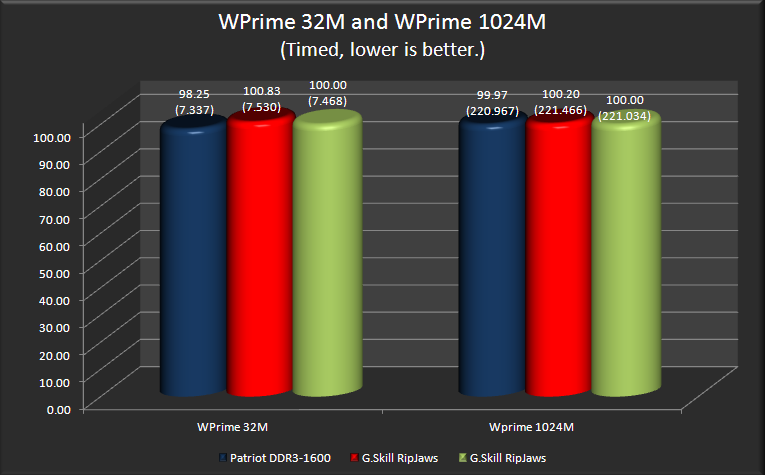 The difference here, just like in SuperPi can be attributed to margin of error more so than speed or timings differences. 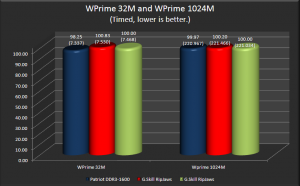 Wprime, both 32M and 1024M, also show the same results, or lack there of between the kits. Again the Geil kit falls right where we expect it to in these tests as well. The last set of tests are Cinebench r10/r11.5, and 7Zip. Quite simply there is nothing to see here as with all other tests really. The Geil kit again performs where it should for its speed. Isn’t memory testing a bit anti-climactic? 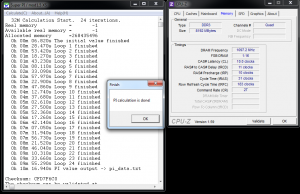 Last we will look at synthetic tests, AIDA64 and MaxxMEM2 you can see that the original versions of these are single threaded and are therefore not showing multi channel RAM in its best light. However if you look at the last MaxxMEM2 (multi) result, you can see scaling up through triple channel results. Eventually we hope they will update this version to really test out what quad channel RAM can do. These results are so variable in my testing, I will just show the results and not in a comparison graph. 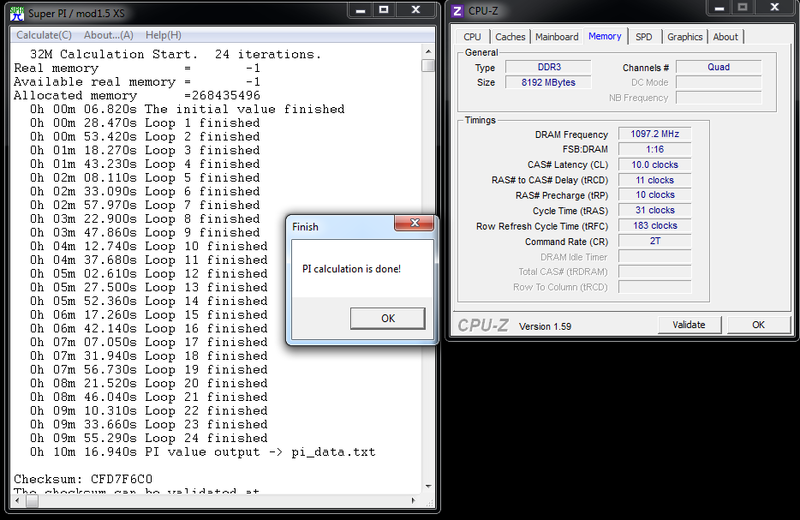 So to start this overclocking endeavor, I upped the voltage from 1.5v to 1.65v, left the timings on auto, and bumped up the memory multiplier to 2133Mhz. It booted and ran SuperPi 32M, but at horrifically loose timings of 13-13-13-27, Yikes! Might as well be at 1600Mhz CL10+ with those speeds. I attempted to lower the clocks manually to their stock timings and take a swing at it, but with no voltage would it budge except for booting to windows. After less than a minute, it would bomb or blue screen. I expected however, at some voltage, to be able to knock out SuperPi at 2133Mhz stock timings, but it just wasnt in the cards. At stock speeds and voltages, I was able to tighten these down across the board to 8-9-8-24 and knock out SuperPi32M (pictured below) however, so that was good. 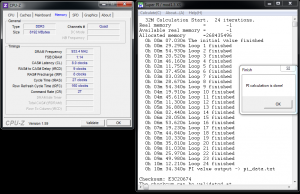 The maximum clocks I was able to get on this board with these sticks are 1097Mhz with timings of 10-11-10-31 at 1.65v. 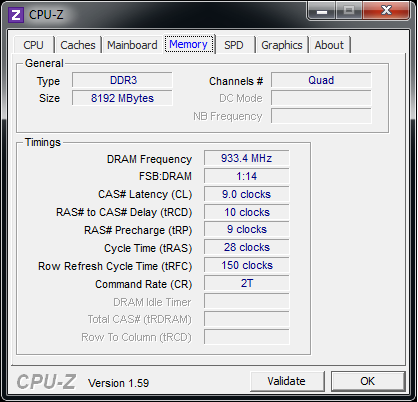 This was done with a 103Mhz BCLK. For some reason, the board used in this testing does not have a memory multiplier available over 2133Mhz and my BCLK limit was 103Mhz. So I do not believe we have peaked out on these sticks, but have in fact hit the board’s limit due to not having any memory multiplier left. No matter what voltage I used, I could not tighten down the the timings on these sticks past its rated speed. Even up to 1.75v I was unable to tighten anything down after hours of trying. It’s possible I missed some magic combination or this board, which was finicky with memory anyway, is just being a bear. 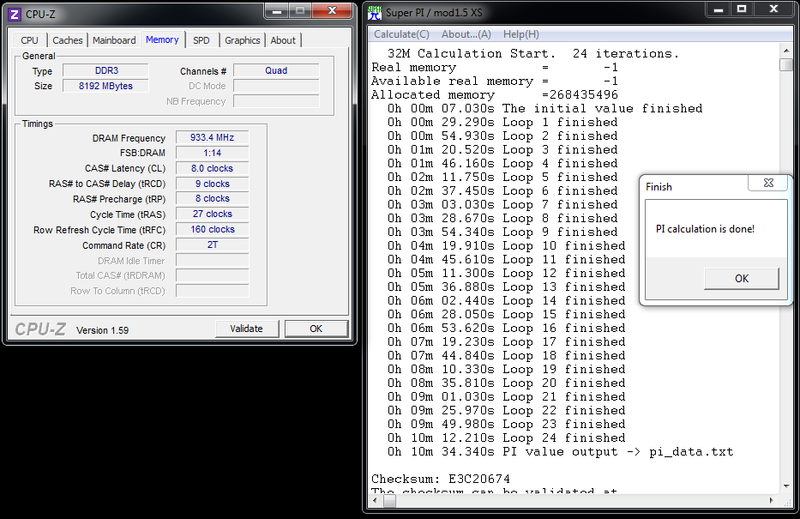 Still, almost 2200Mhz out of a 1866Mhz kit, isn’t terrible. If you need more, my suggestion is to buy kits rated for it and be certain you have the IMC to support such speeds. Memory reviews, to me, are so boring to complete outside of the overclocking side of the house, and that only tickles a few people’s fancy. 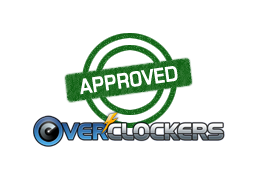 Results with the kits Overclockers.com have tested all fall in line with where they are supposed to on the benchmarking front. 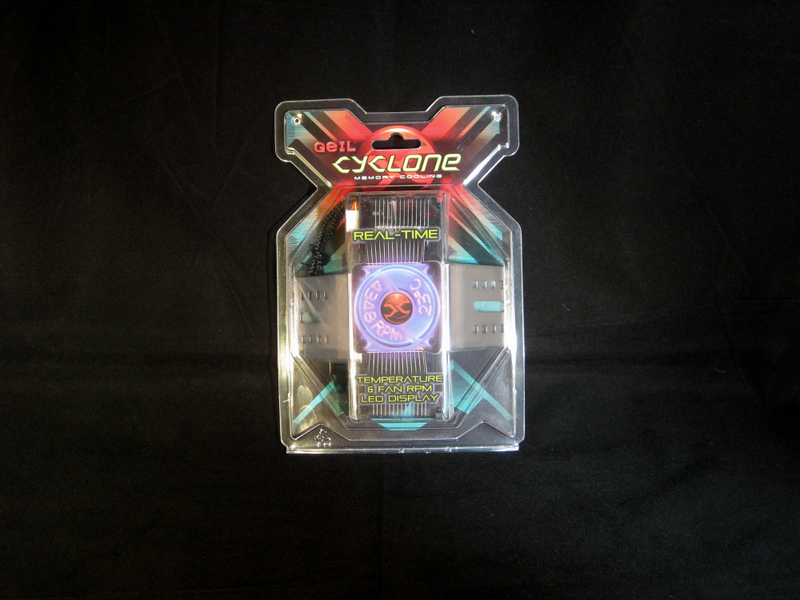 The fact is with this kit, it works as described on its packaging. 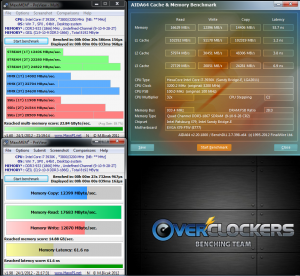 There is overclocking headroom almost peaking at 2200Mhz with 1.65v. 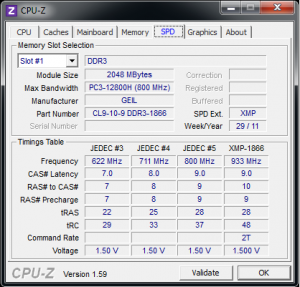 For some reason I was expecting better scaling with its starting voltage so low at 1866Mhz though. As far as looks, I like the heat spreader setup with, what appears to be an EVO in it. Compared to another kit I reviewed, the heatsink felt incredibly light. And though its no more fragile than any other memory, just being so light made it feel that way. Its bright, almost highlighter green color will definitely stick out on most builds. Even though I’m a fan of understated appearances on PCs, the color did not turn me off of them. Just be aware that the heatsink does come up off the sticks a fair amount so be sure your CPU cooler has enough clearance. When evaluating the Evo Cyclone memory cooler, I’m a bit torn. On one hand, we know cooler is better on everything. On the other hand, even at 1.65v and ~2200Mhz on an open test bench, the sticks were not even warm to the touch during stress testing. I’m not a fan of a system full of bling, but I have to admit it was kind of cool to see the temperature of the memory (environment) in LEDs on the fan blades and it showing off its branding. Is this – or any other cooler – needed? Not likely. But if you want to add some pizazz to your rig, this cooler will certainly do the job in that respect. The fan, coming in at $27.72 at amazon.com, is an option, but not remotely a need. I have been unable to find this exact kit online anywhere, and Geil has not responded with the pricing for this kit in time for publishing and I am unable to find even a 2x2GB kit to compare it to online. The 4x4GB DDR3 1866Mhz kit comes in at $134.99 at newegg, so I would imagine it to be much less than that, around $100 would be my guess looking at other kits with the same capacity and speed. Overall these sticks are Approved. They work well out of the box, and give a fair amount of headroom if you would like to benchmark with these sticks. Very nice! I have to say that those heat spreaders look very nice. Catchy but not gaudy. 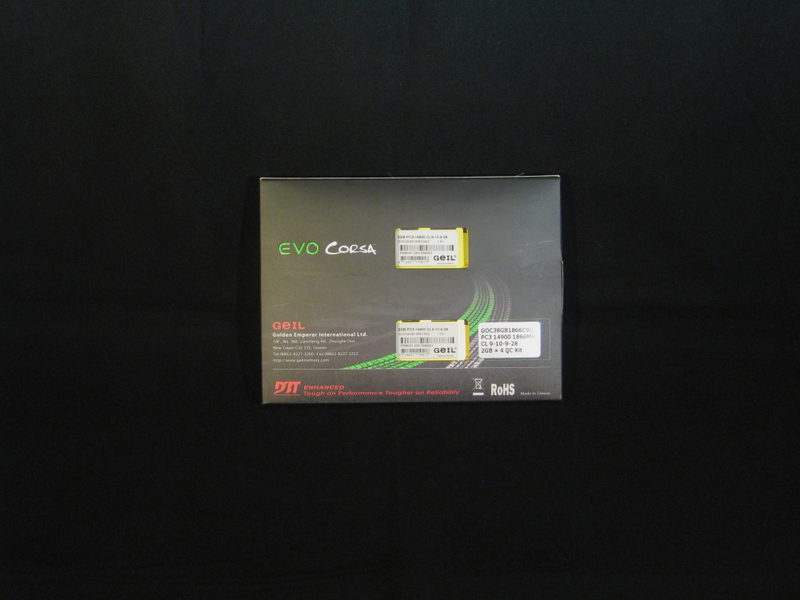 I installed a pair of 4gb evo enhance corsa's in one of my pc's about a month ago. The enhance look just like these other than the heat spreader is an orange color (more of a bronze). While the heat spreader look nice, they're some of the crappiest I've ever seen. The form of the spreaders are actually two halves that fold over each other, they're quite tall. Because of the height and full end to end design it's extremely difficult to find placement to apply insertion pressure that isn't forcing directly against the flimsy spreaders themselves (the ram pcb is almost fully obscured). 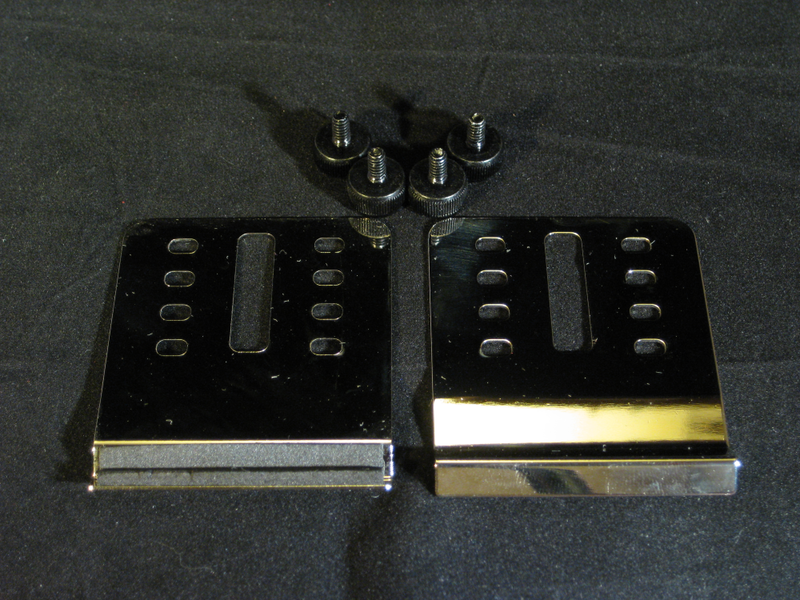 While installing them, the heat spreaders actually collapsed and broke free of the chipsets due to poor adhesion (ie, the slightest pressure and they nearly fell off). Finally managed to fit my thumbs at the outermost edges to press directly on the corners of the pcb. I thought they were going to break to be honest. My hands are somewhat small to medium, anyone with larger hands is going to have a lot of difficulty with these. On the plus side, the ram itself is great. Those are the worst heatspreaders I've ever dealt with though and was highly disappointed with such flimsy craftsmanship. 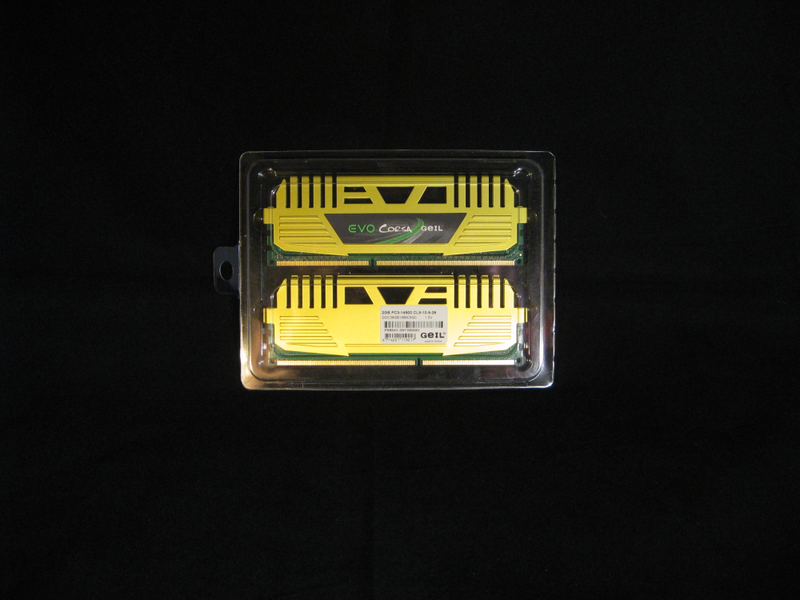 Wish they would've been more sturdy like the geil ddr2 evo1's I've used in the past.